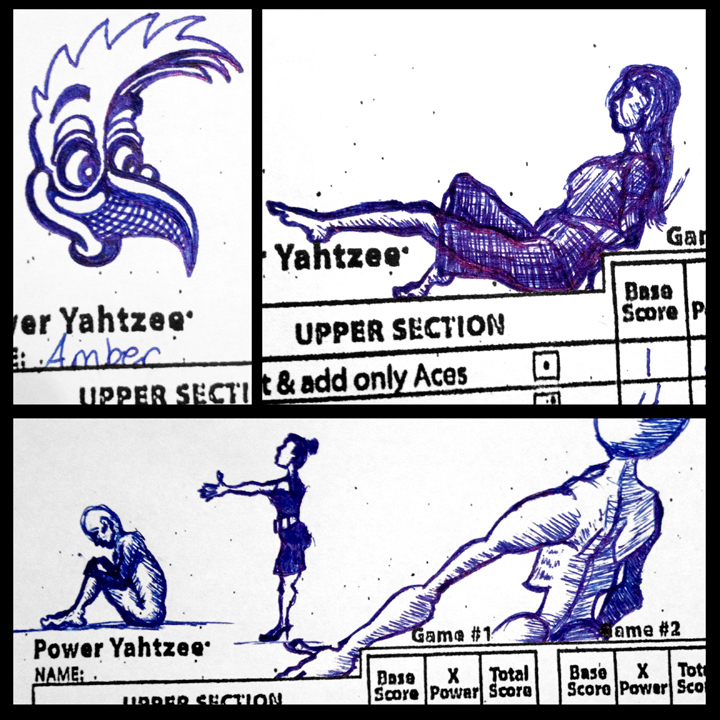 Some doodles while playing Power Yahtzee. Another sketch. I photographed this one at an extreme angle and I think that I really like the proportions it created. This was an extremely quick sketch that I did just before bed to get an idea down on paper. I had a vision of a creature-version of mother nature where her entire abdomen is shaped like one of those woven, hanging bird nests. I haven't really nailed down the rest of the concept except that her limbs should be somewhat spindly in contrast to the rounded abdomen. I had an idea for a little creature whose bones got longer as they radiated out from the center of it's body instead of shorter - a creature of backward proportions, so to speak - but it didn't work out quite the way that I planned. 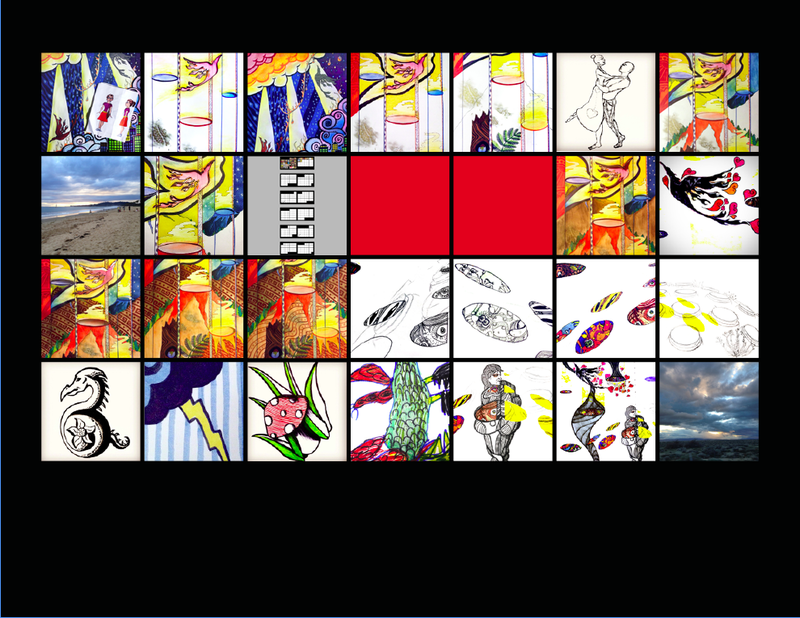 This was another poor drawing day. I think that the idea was good, but the execution left a lot to be desired. I'm not really happy with this one, but it's all I drew this day. This little alien crashed into the moon. I have plans to revise this drawing so that the crash causes the crescent. A cactus in honor of leaving Arizona. Just a little sketch of a little pig. A little dragon in a little sketchbook. 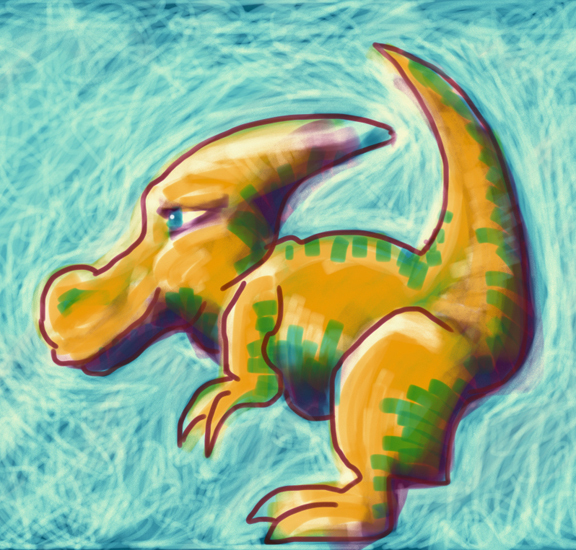 A quick iPad sketch today using my nifty Wacom stylus. A dragon and a flower drawn in ink. The beginnings of a sketch for a Valentine's Day image. In the end I wasn't happy enough with this beginning to go any further with this drawing. 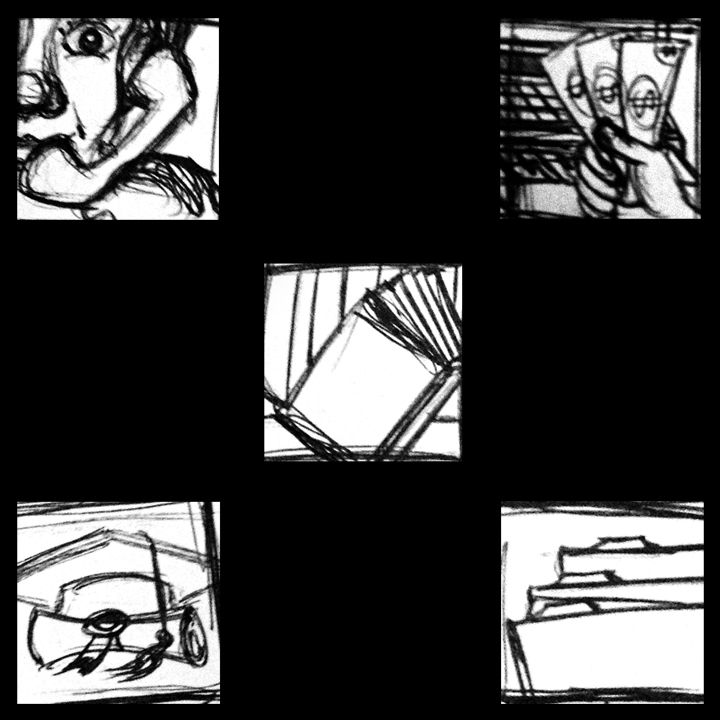 A few quick sketches to finish digitally later to approve the appearance of my resume. Super-quick little sketch that I completed between note-taking at a meeting about jewelry. I played around with Adobe Photoshop Sketch for the iPad on this day. 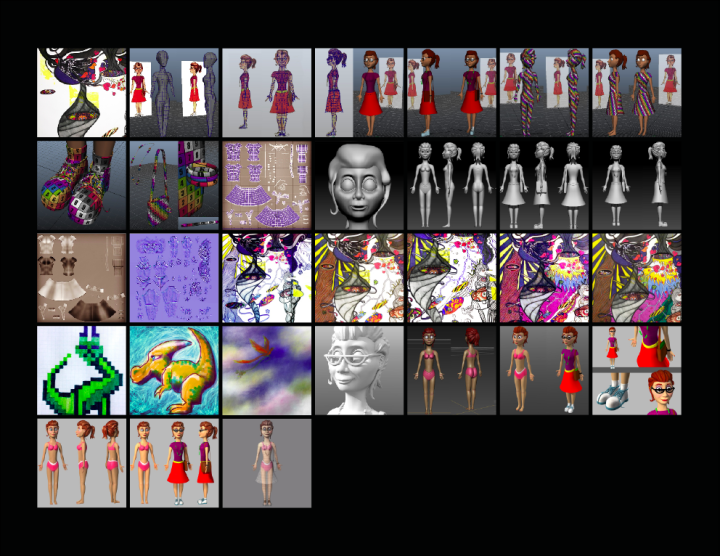 The design for the next 3D model that I would like to make: an artsy grad student that could easily fit into my 3D gallery scene. I envision her style a little like the female character in the Disney short "Paperman", but with a somewhat more relaxed, artsy vibe.